Today was Philip’s second birthday. Only he wasn’t here to celebrate it, to smash his cake into crumbs and smear frosting on his face. He didn’t get to open presents or to enchant us all with his glee and his winning, dimpled smile. He never got a chance to be two years old, just like he’ll never climb aboard a big yellow bus for his first day of school, or wear a gown and a cap with a tassel to receive a well-earned diploma. He’ll never learn to swim, or play baseball, or create music with an instrument. He’ll never fall in love, get married or have children of his own. And those he left behind will miss every one of those things and so much more. 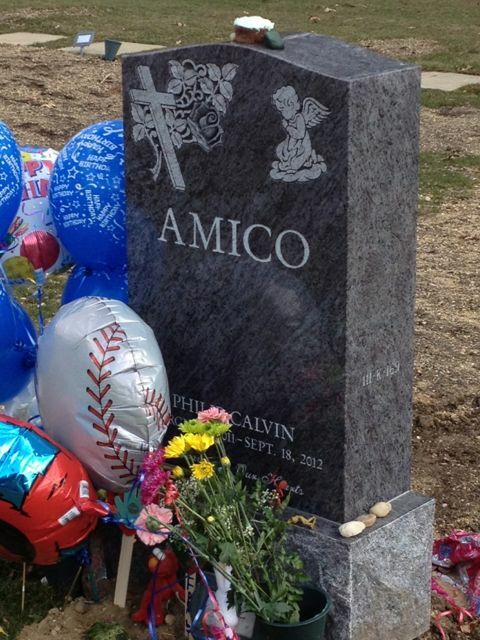 It’s been 118 days since an accident took Philip’s life. Days filled with memories, tears, grief and growth. His birthday was no different. We marked the day with cupcakes and balloons, but we did it at the cemetery. When my daughter first picked this spot, she noted that there was a small airport nearby which seemed appropriate because Philip was fascinated with planes. Living under the approach lanes for the nearest big airport, ‘airplane’ was one of his first words as he looked up to follow the big planes taking off and landing. So, it seemed fitting that twice while we were at the cemetery, a small plane flew over our little ceremony on the ground. We sang happy birthday and sent our wishes aloft with bright blue balloons. 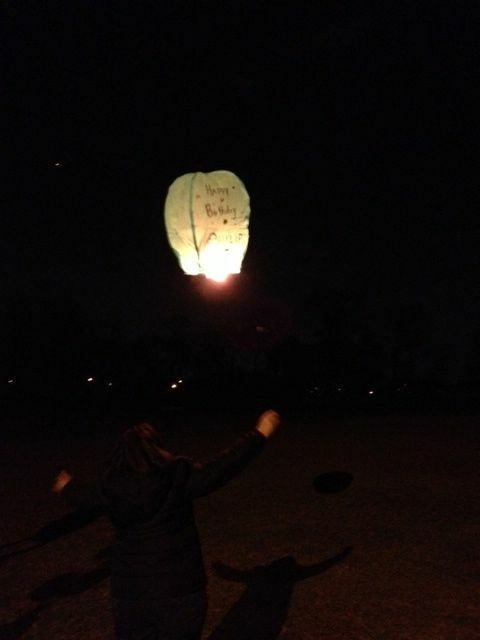 In the evening, we gathered once again at a nearby school playground to inflate and set Chinese lanterns aloft with messages and love. And once again, Philip got his fly-over as several big planes climbed into the inky night sky from LaGuardia. 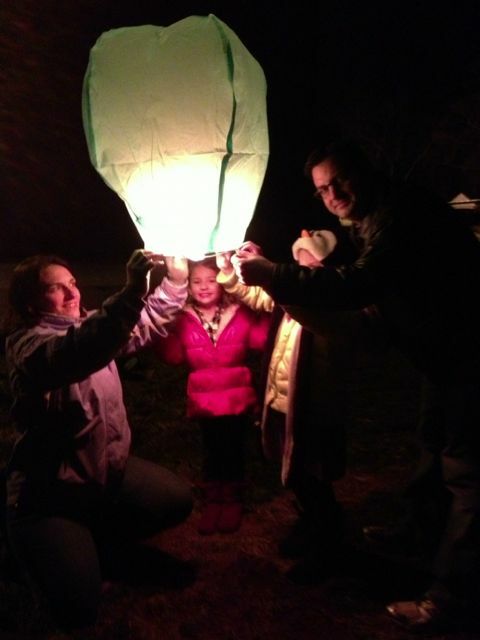 Meanwhile family in Maryland, New Hampshire and Massachusetts were joined in spirit as they, too, set lanterns and balloons free to climb into the sky. Happy Birthday, Philip. We love you and miss you so.